This self-contained cottage is in a peaceful rural setting on a small farm. 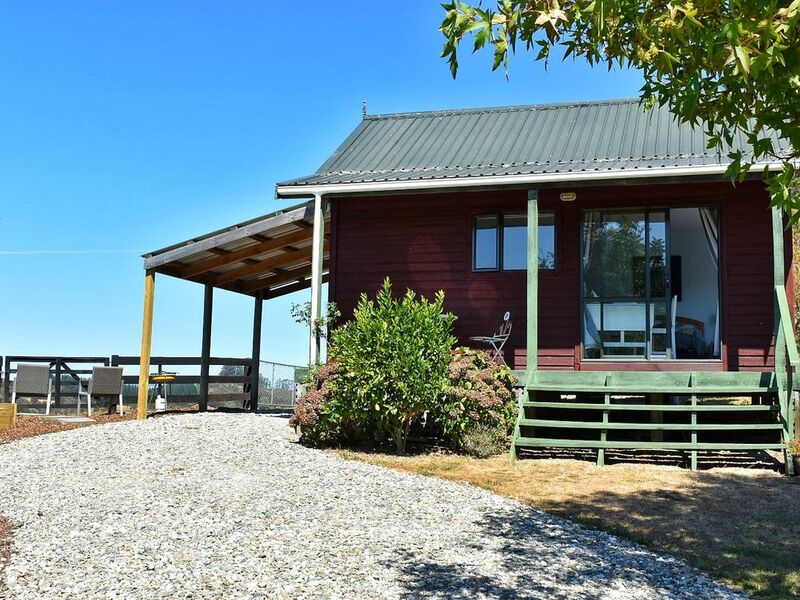 It is a 5 minute drive to the beautiful Motueka River, a 15 minute drive to the centre of Motueka, a 30 minute drive to Kaiteri beach or a 1 hour drive to Lake Rotoiti. It is also very conveniently located for those wanting to hike in the Kahurangi National Park. At the property there is a swimming pool for shared use, free Wifi, paddocks and forestry tracks for walking. The cottage is sunny and has lovely views. We found this spot to be perfect for our needs. Nice and easy to find, quiet and comfortable and the hosts let us get on with it. Super hosts, we loved the countryside, half hour from Abel Tasman. Very clean, swimming pool, very quiet, 20’ from Motueka. How I loved my short stay at the cottage. I wish I could have stayed longer! The cottage is small but in a charming way. It's decorated with taste and just perfect for a single person (like me) or a couple. Lovely, peaceful setting with great view on the mountains. And to top it all, there's a pool! The owners were super welcoming and made for a great conversation. They even gave me eggs from their chickens for my breakfast and fresh plums. Would definitely stay there again. Highly recommend this little corner of paradise. Accomodation clean, comfy, well set up. Hosts very friendly. Loved the pool. Brilliant that dogs are allowed. The only negative for us was the very close proximity of the neighbours drive, as he walked his dogs past the cottage early, shouting to them which woke us with a start. If we had not had our dog with us we might not have noticed but because she was startled she barked. This cottage is in a very convenient area. The house is situated in the countrysite, but Motueka and the ferry to the Abel Tasman Track are in easy reach. The environment is nice and quiet. It is a good place for stargazing. The house is small but has everything you need. It has a porch and you can also sit outside. Kim is friendly and helpfull. We really enjoyed our stay. Great experience, very nice holiday!